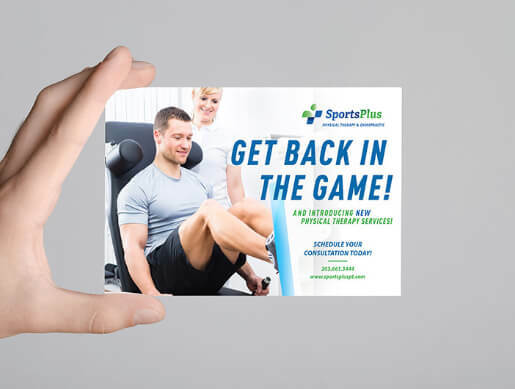 Custom Physical Therapy Postcards Make Marketing Your PT Clinic Easy. 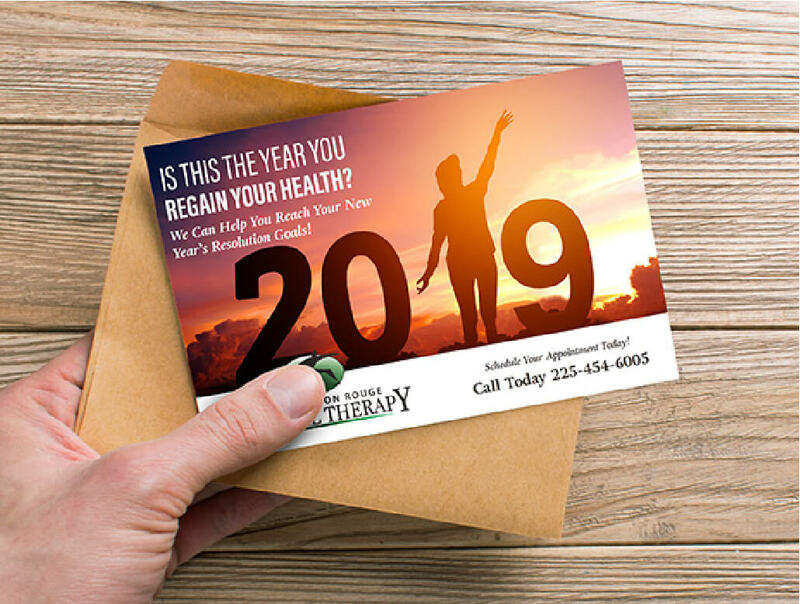 Reactivate past patients with monthly campaigns and seasonal promotions or mail a general information postcard to your local community to attract new patients to your practice. Full-color photos and a glossy paper finish makes these postcards stand out in the mailbox and give your marketing a high-quality, professional look. Choose from a Variety of Topics! Laser Therapy (NEW), Aquatic Therapy, or any Practice Specialty! Ships Free to Your Practice or Let Us Mail Them to Your Patient List! Have you been frustrated by print marketing not generating results? Do your postcards attract new patients or are they just pretty frisbees?